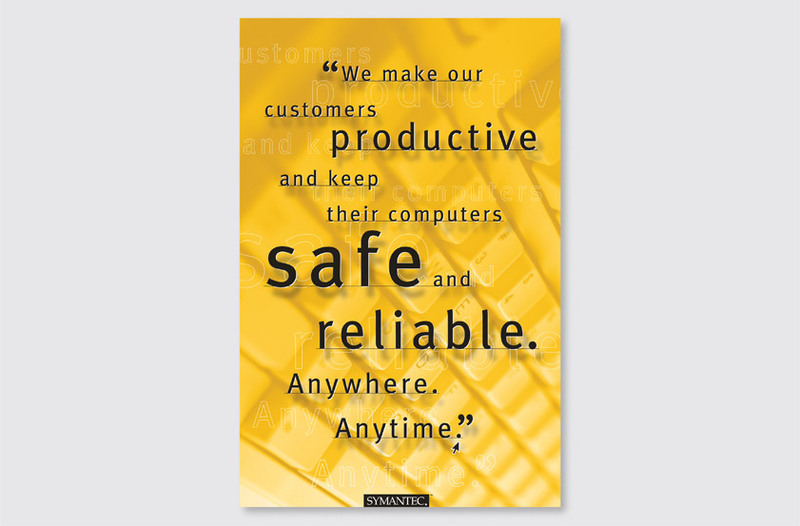 Symantec is the world’s largest maker of utility and security software for personal computers. 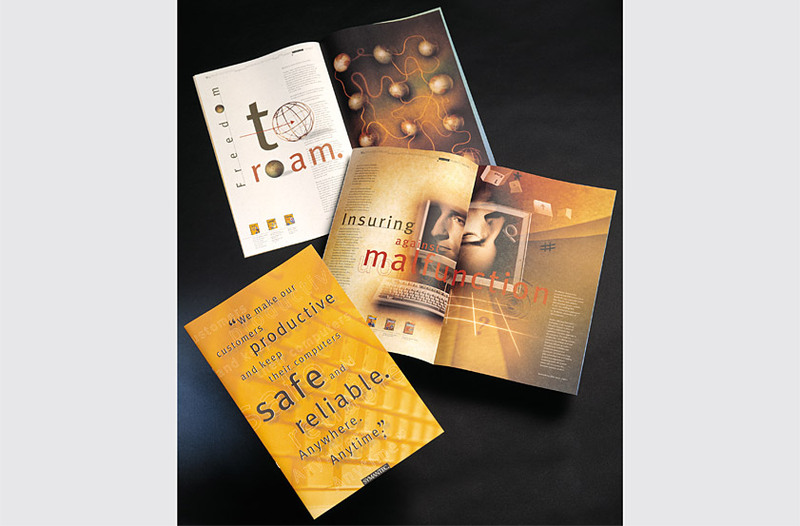 Our solution uses the company’s mission statement on the cover to express their products’s innovative features as valuable customer benefits. On each spread, the mission statement appears as an interface-inspired pull down menu, highlighting a key word to identify each product category. 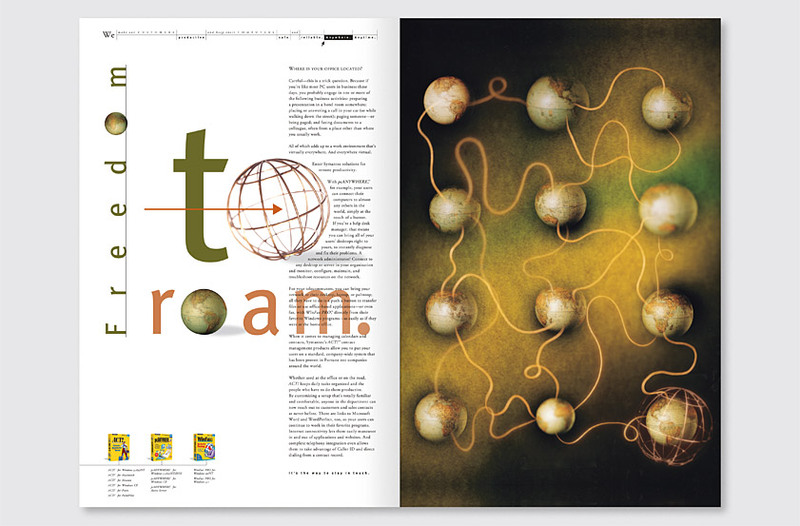 Conceptual photography and expressive typography are employed to convey a compelling user-focused message. 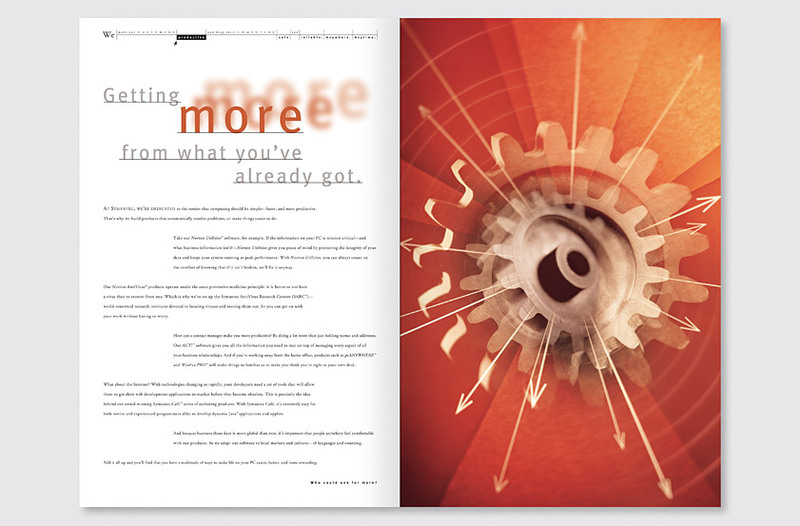 An expanding gear creates a powerful metaphor for software which increases productivity. 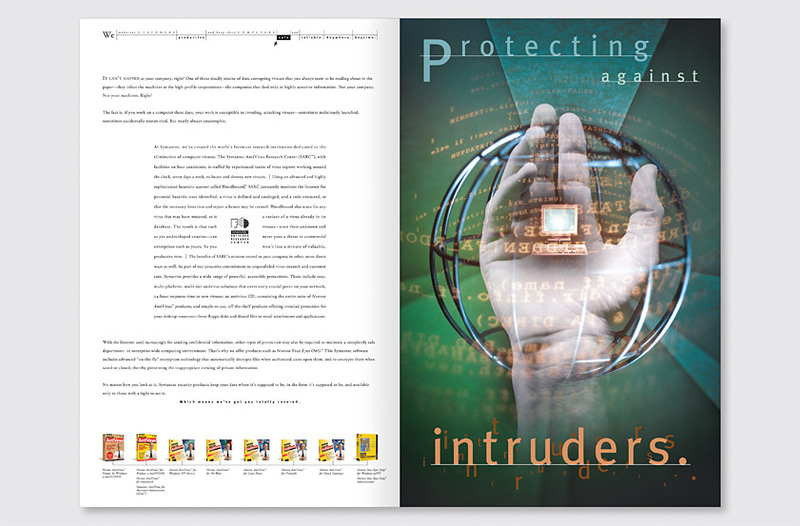 A hand and globe combine to symbolize the safety provided by the industry-leading Norton AntiVirus software. 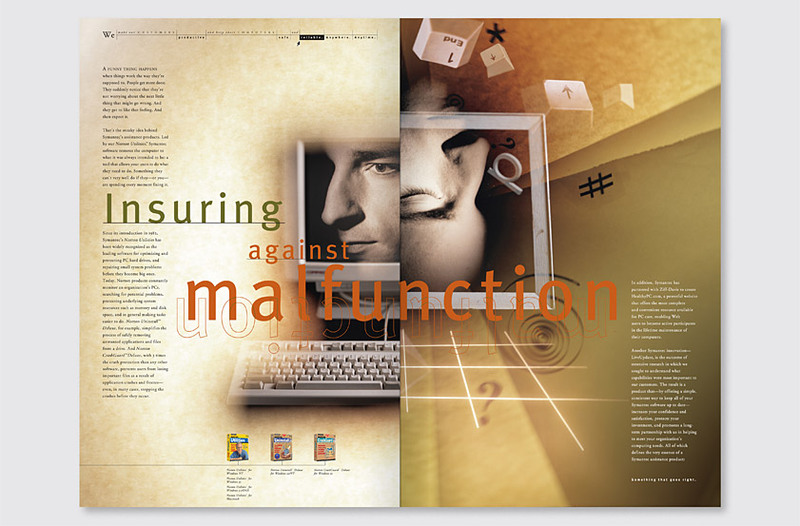 The stark contrast of a computer being fully functioning and awake vs. malfunctioning and asleep conveys the difference provided by the category-leading Norton Utilities software. A series of interconnected globes evokes the company’s remote access software which enables users to be productive anywhere in the world. 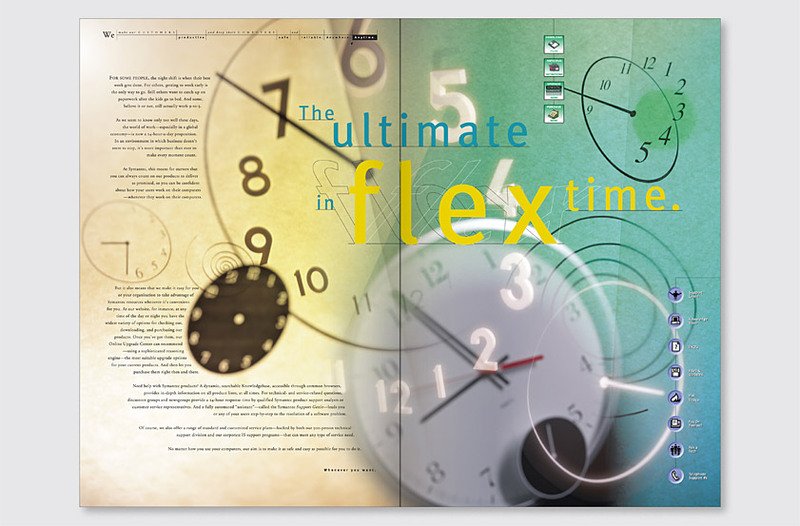 The project provided lasting value for Symantec, as the brochure was able to be reused for several years by simply updating the box art as needed, and the evocative images enjoyed extended use as corporate art throughout Symantec headquarters.